For all of you who don't know Aiden is big brother to Finn, and its a shame you can't see his mug in this shot, cause he is something else. He wears a custom too shea sweatshirt which also has "Hawn" featured on one of our orbs. too shea so small is too cute. 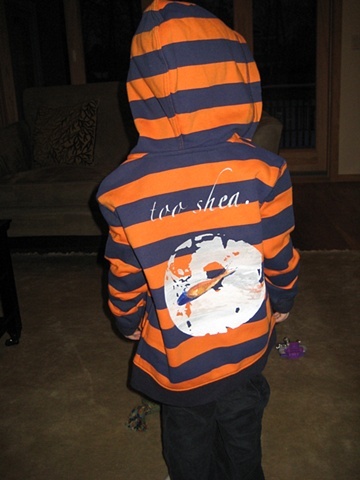 Aiden in a custom "too shea" hoodie.